One of my favorite metalcore bands is back in 2016, with a new album in March and a new tour, with a stop in Salt Lake City on March 30th – their first since June 2013. I’m excited to hear the new album, “Incarnate” which comes out March 11, 2016. So far, only one single has been released “Strength of the Mind”, which you can watch the official video below. 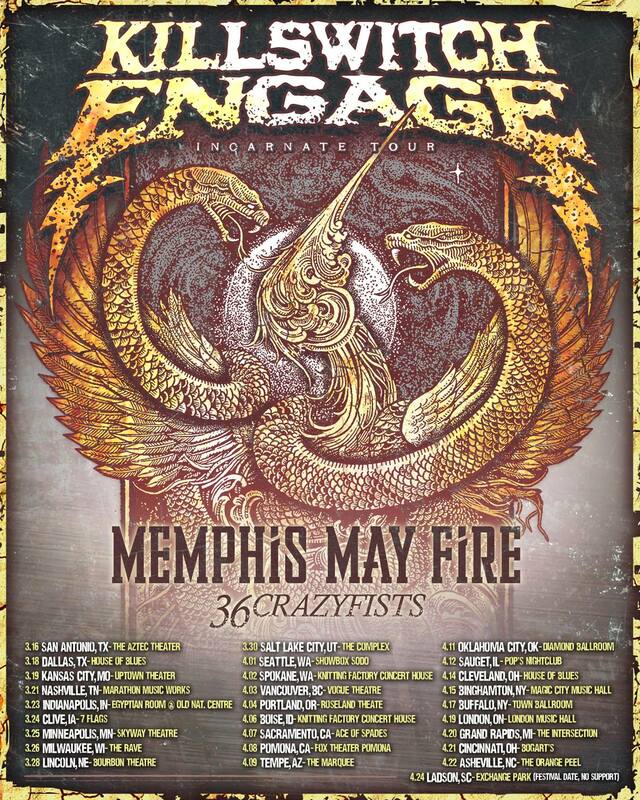 This will be my first time seeing original and returning lead singer Jesse Leach live. The last many times I’ve seen them was with their former lead singer Howard Jones. I missed their last Salt Lake date due to a scheduling conflict. No conflicts this time.